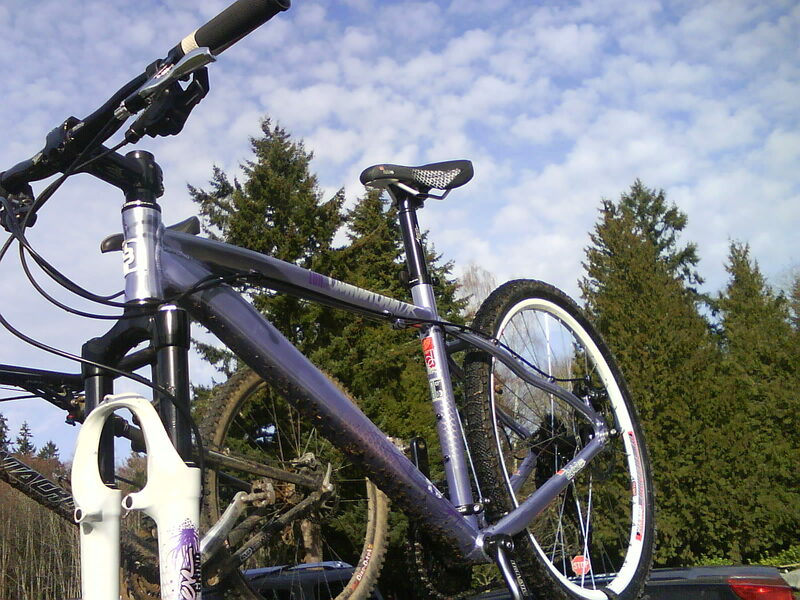 For the ladies who want to try out mountain biking but aren’t sure they want to invest thousands of dollars in equipment (don’t worry–that phase kicks in later), there is still great fun to be had on a competitively priced bike. 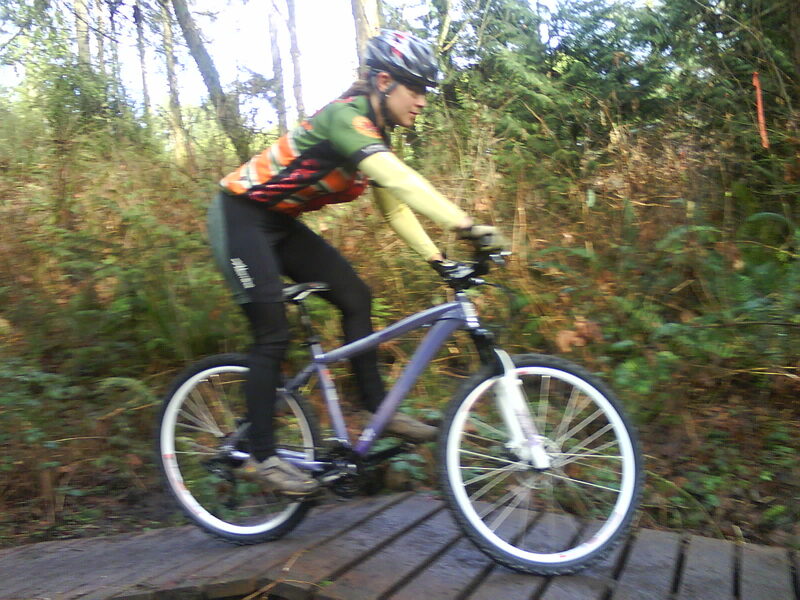 Case in point–I took Diamondback’s Lux Sport out for a test ride at Saint Edward Park in Kenmore, Washington, and together we made all the boys get out of our way. Though not super lightweight, the Lux can negotiate obstacles for an exhilarating and illuminating ride. And all gender associations aside, the frame color is so pretty! Try riding something different this weekend. See you on the trail! I have many practical skills. I have a PhD in Medieval Literature. I can solder an LED hula hoop. Oh, and I ride and write about bikes. 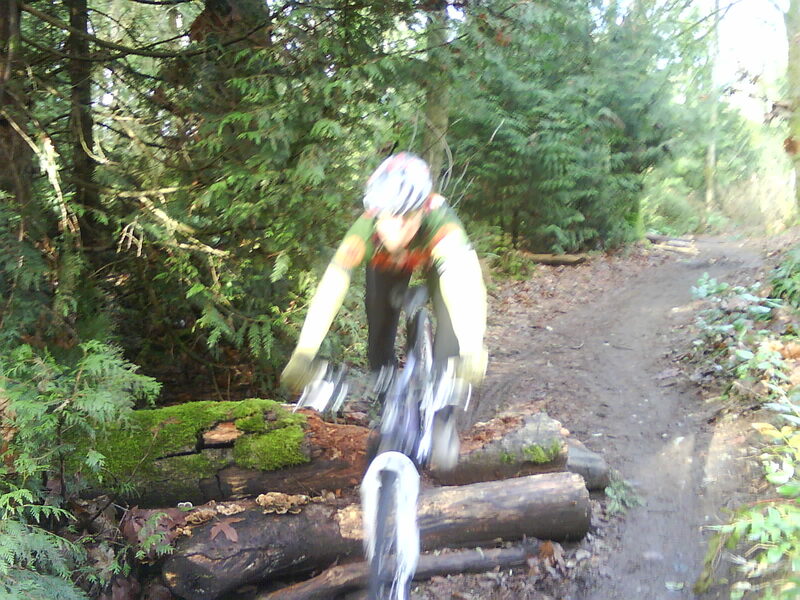 This entry was posted in Biking, Kenmore trails, Washington (Western) and tagged Diamondback, Kenmore, mountain biking, St Edwards Park, Washington. Bookmark the permalink. 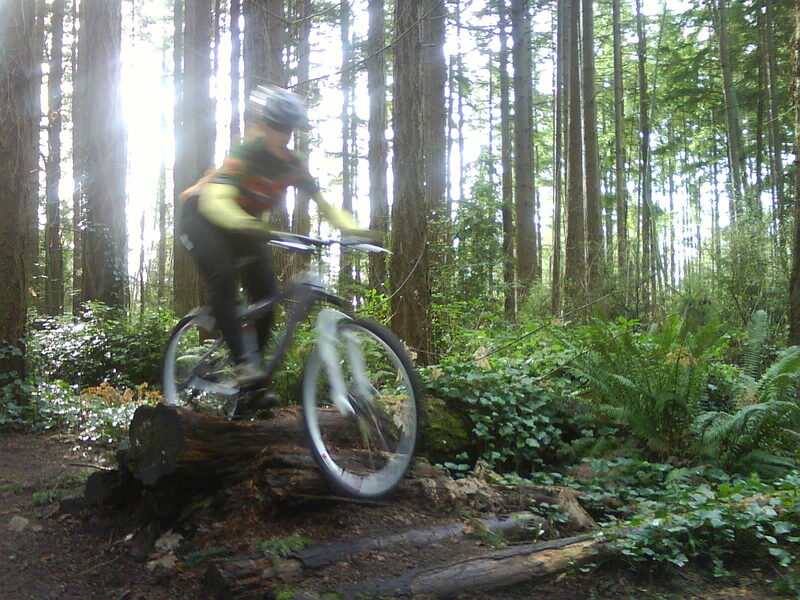 St Ed/Big Finn is my neighborhood riding area – small, but fun. Cool blog you have going here…. Thanks for reading! See you out at St. Ed’s next time!